While most third-graders are learning math and reading, Christopher Bradshaw was learning advocacy and social change. When a teacher banned the game of tag, he organized his classmates to sign petitions, stage sandbox sit-ins and boycott recess for their right to play. Today, Christopher’s passion for social change continues as the founder of Dreaming Out Loud, Inc. (DOL), a Washington, DC based nonprofit whose mission is to inspire and build a more ethical society through human development, community engagement and social enterprise. DOL’s projects provide access to fresh produce, spur economic development and build health equity in urban communities impacted by “food deserts.” One such project is Aya Community Markets, a developing network of farmers markets that offers places for businesses to develop, and for the community to gather in fellowship and purchase quality goods. DOL’s urban micro-farm, Aya Farms Project, is located within a few blocks of their farmers market in Ward 6 of Washington, DC and also serves as a youth employment program site. Youth design, plan, and implement community garden projects; receive nutrition education and S.T.E.M. (science, technology, engineering, and math) learning through gardening; and develop entrepreneurial and leadership skills by learning to run a farmers market. This year DOL was awarded a $6,000 grant from The Black Benefactors giving circle to enhance the Aya Farms Project. The enhancements will allow DOL to host programs for children and youth, as well as workshops for community members, particularly low-income individuals; supply public housing communities, churches, schools and community gardens in the area with seedlings for their growing projects; and house an aquaponics system – an agricultural technology that grows both fish and plants in a closed loop system, multiplying their impact and making the project unique in DC. Read on to learn how Christopher’s grandfather and uncle introduced him to farming, his vision for DOL in five years and how you can get involved. Congratulations on the Black Benefactors grant! Please share more about it. The Black Benefactors (BB) grant came at just the right time and helped us on two levels: emotionally and financially. We were planning for a breakout year in terms of our impact and needed a shot of energy to let us know that things are going in the right direction...BB provided just that! We knew that we were on the right track and could make commitments towards the youth that we needed to support, while building our garden so that it would be a great space for learning and growing. What inspired you to get involved in urban farming? I was inspired to get involved in urban farming for a number of reasons. One is a community need that was very much lacking in terms of exposing young people and rekindling an interest among elders. 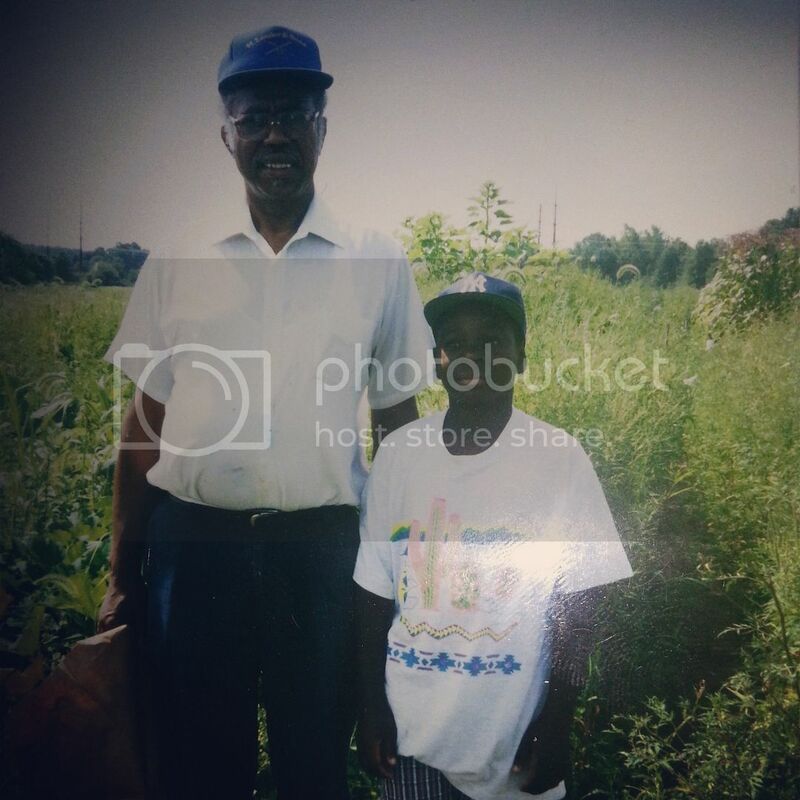 As I got more into farming, memories began coming back to me. Those memories were running up and down the crop rows of my Uncle Walt’s nearly two-acre garden in Morristown, Tennessee. From his garden – which he basically did by himself – he would grow everything imaginable, which my grandmother, aunts, and neighbors would can and preserve and we would eat for months. Memories of my grandfather (pictured) and his garden were also prominent. He was a man from rural, small-town Jacksonville, GA with only a 4th grade education. Yet, he accomplished much. He worked for Pratt and Whitney building airplane parts, worked at an ice-cream shop, and eventually started buying houses, apartments and duplexes across Hartford, Connecticut. It was real estate that allowed him to gain independence and prosperity from his limited education, but it was farming that kept him grounded, connected him to his childhood and gave him a release. I remember him working very hard all week, but then on Saturday mornings he would wake me up between 5 and 6 am to get breakfast, and then we would proceed from property to property where he would fix everything from sinks to doorknobs. After that was done around 11 am, you think that would be enough, but that was only the warm up because we still had farming to do. Farming was like recreation for him. The picture of us standing in the field was at his growing space in Connecticut; it was his way of mentally escaping to Georgia. He always wanted to retire there and farm, but he didn’t get to. Now I honor him, my Uncle Walt, and countless other women and men in my ancestry who didn’t get to do it for fun, but rather forced to under the yoke of oppression. Today we do it as an act of liberation. Beyond helping to provide access to fresh, local produce we’ve made an impact on multiple levels. An example is Khalil, a 10-year old male. We met him at our first farmers market while hitting one of our yard-signs with a stick. When I gently approached him, I jokingly asked if he had something against vegetables; he blushed with embarrassment, as his friends laughed. I asked him to return to the market the next week along with his friends. They returned, along with several other friends at 7:30am every Saturday for 18 weeks. We are now growing Khalil and friends as new leaders and community voices through a structured youth development program for 15 youth, primarily African-American males. Where do you see DOL in five years? In five years, I see DOL having impactful social enterprise projects at the national and international level. I envision connecting communities, cultures and social change through social enterprise; particularly amongst the African Diaspora. We want to create sustainable solutions that are embraced by communities so that they take ownership of them, yet know that they are linked to others. How can readers get involved with DOL? Readers can always come visit us at our growing space at 700 Delaware Avenue, SW in Washington, DC and volunteer getting their hands dirty watering and weeding, turing compost, or whatever else is needed. Or folks can come to one of our farmers markets...either on Saturdays from 9am-1pm at 900 4th Street SW or Wednesdays from 2-7pm at 3924 Minnesota Avenue, NE.